We are offering Hydrogenated Castor Oil to our clients. 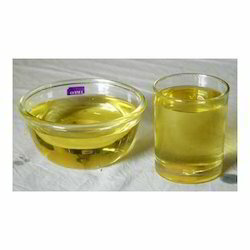 Sulfated or Sulfonated castor oil is a castor oil that has been treated so that it is fully dispersible in water, thus making it perfect for bath oil products. It is also called Turkey Red Oil. The traditional method of preparing turkey-red oil is to add concentrated sulfuric acid at a controlled rate to castor oil over a period of several hours with constant cooling and agitation of the reaction mass to maintain a temperature of 25-30oC. After acid addition is complete, the reaction mass is washed then neutralized using an alkali solution or an amine. 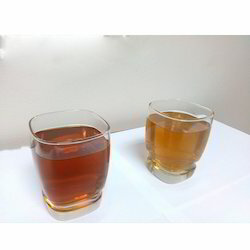 · Sulfated Castor Oil was the first synthetic detergent after ordinary soap. 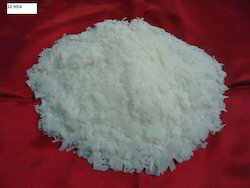 It is also used in formulating lubricants, softeners, and dyeing assistants. · Being an anionic surfactant, it is an active wetting agent (a chemical agent capable of reducing the surface tension of a liquid in which it is dissolved). As such, it is used extensively in dyeing and in finishing of cotton and linen. Generally, the ability of castor oil and some of its derivatives to wet surfaces make them useful as excellent carriers of pigments and dyes. 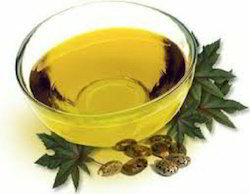 · Sulfonated castor oil is of medium viscosity and is usually used in bath oil recipes along with fragrance or essential oils, or in shampoos. We are offering BSS Castor Oil to our clients. This BSS castor oil is processed using premium grade ingredients so that our customers receive flawless quality products. We test this oil on various parameters to ensure its high nutrition value and excellent taste. Furthermore, this oil is free from chemicals and non-adulterated, due to which it is highly demanded by customers. We are offering Castor Oil to our clients.